Children are far from perfect, and are inherently bound to make mistakes. The single most important part of growing into adulthood is learning from these mistakes and adjusting negative behavior accordingly. Assault and battery are among the most common juvenile offenses minors are arrested. Every now and then, kids will argue with one another, make threats and fight about disputes they get into. If they are not careful, some juveniles will find themselves in handcuffs being arrested on assault and battery charges after something as simple taking an argument too far. 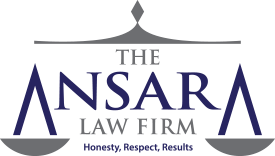 Our Fort Lauderdale juvenile criminal defense attorneys at The Ansara Law Firm have handled hundreds of assault and battery cases in both adult and juvenile courts. We have the expertise and practical experience to successfully navigate both levels of court and create the best possible end result for our clients. Assault is defined in the state of Florida as “an intentional, unlawful threat by word or act to do violence to the person of another, coupled with an apparent ability to do so, and doing some act which creates a well-founded fear in such other person that such violence is imminent.” In adult court, it is classified as a misdemeanor of the second degree, punishable by up to 60 days in jail, probation for 6 months, or a fine of $500. Assault is a legal grey area, because an assault charge is based on words used that could have made the victim feel as though violence was imminent. An example of a possible juvenile assault case would be a minor under the age of 18 telling another person that they were going to kill them or hurt them out on anger while they had appeared to have had the ability to act upon the threat. Kids are especially reckless with what they say because they cannot fully comprehend the consequences of their actions which comes with maturity. Additionally, the First Amendment of the U.S. Constitution guarantees the right to free speech, however the Supreme Court does not consider threats to be free speech because of the fear that they instill in those they are directed towards. An example of juvenile battery would be a minor physically attacking another minor at school or a local park. In adult court, battery is a misdemeanor of the first degree, and is punishable by up to one year in jail and one year’s probation. A common defense to juvenile battery is for the defense to prove that the defendant and the victim were “mutually combative,” meaning that the two engaged in a fight with one another. Under these circumstances, the law finds both parties to be at fault. When the circumstances of the arrest are very severe, then it is possible that a child could be tried as an adult for the crimes that they have committed. When a child is tried as an adult, they face much more severe penalties than they otherwise would if they were tried in juvenile court. Adult battery charges could carry as severe a sentence as up to 15 years in adult prison and fines up to $5,000. A child who is subjected to these kinds of punishments misses out entirely on having a “normal” life, and these charges will be a stain on their personal and professional reputation, inhibiting their ability to assimilate into society in the future. If your child has been charged with juvenile assault and/or battery, call the Fort Lauderdale juvenile assault and battery lawyers at The Ansara Law Firm today to protect your child’s future. We know that having a child get arrested is one of the most stressful things a parent can go through, and we want to ensure that the child learns from their mistakes, however we fight the State vigorously to protect them from receiving charges on their permanent records which could damage their professional and personal goals in life. We know that kids all make mistakes, and we can proudly say that we’ve assisted in giving some teenagers the opportunity to turn their lives around and remain in good standing with the law after making a mistake. If you, your child, or the child of someone you know was recently charged with assault and/or battery, call our lawyers at The Ansara Law Firm at (954) 761-4011 immediately for a free consultation to protect the child from facing the full brunt of Florida’s justice system.